Analyzing data-driven and knowledge intensive business processes is a key endeavor for today’s enterprises. Recently, the Internet of Things (IoT) has been widely adopted for the implementation and integration of data-driven business processes within and across enterprises. For example, in law enforcement agencies, various IoT devices such as CCTVs, police cars and drones are augmented with Internet-enabled computing devices to sense the real world. This in turn, has the potential to change the nature of data-driven and knowledge intensive processes, such as criminal investigation, in policing. 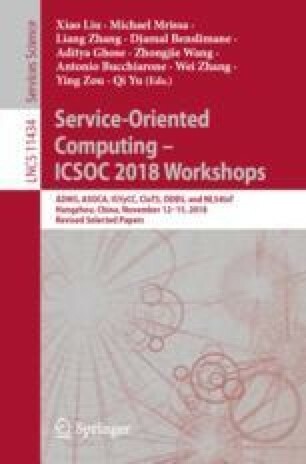 In this paper, we present a framework and a set of techniques to assist knowledge workers (e.g., a criminal investigator) in knowledge intensive processes (e.g., criminal investigation) to benefit from IoT-enabled processes, collect large amounts of evidences and dig for the facts in an easy way. We focus on a motivating scenario in policing, where a criminal investigator will be augmented by smart devices to collect data and to identify devices around the investigation location and communicate with them to understand and analyze evidences. We present iCOP, IoT-enabled COP assistant system, to enable IoT in policing and to accelerate the investigation process.